This classic shaped Student Lamp Shade has an added detail of ribs. 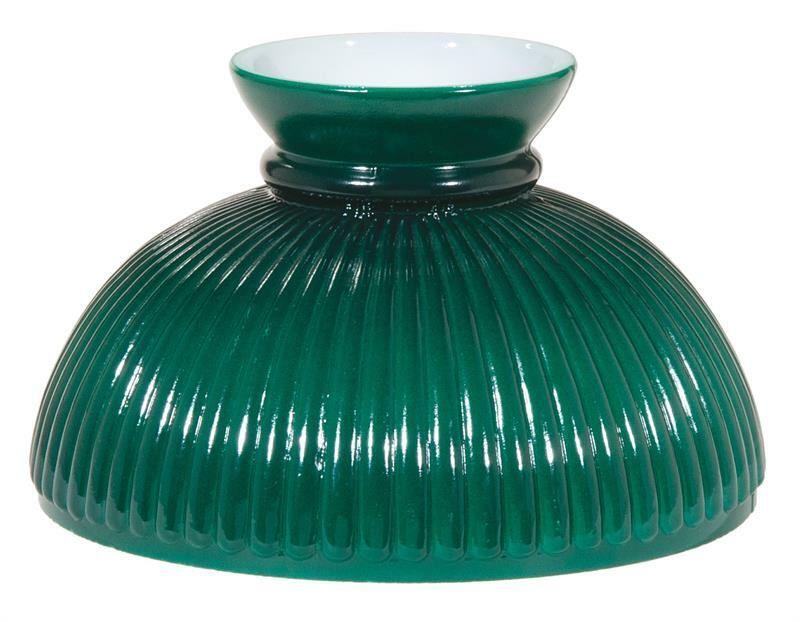 This 10" base diameter shade is opal white glass with a dark hunter green painted top coat. The effect is a warm and inviting glow on both kerosene and electrified table lamps. 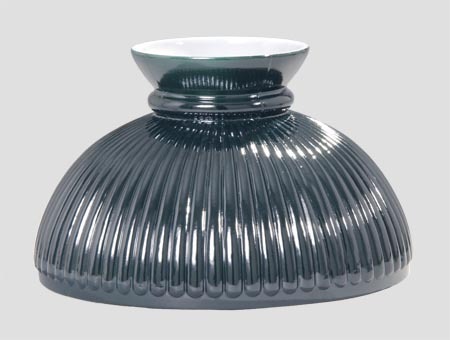 Quality American Made glass. 1. )This shade is USA Made. Aladdin Lamps #N301 is Imported.